Manama: Women make up one third of Bahrain’s foreign ministry personnel in the latest indication of their elevated status in the island kingdom. “There are numerous opportunities for Bahraini women to hold decision-making positions in the diplomatic corps,” Shaikha Rana Bint Eisa Al Khalifa, the Undersecretary of the Ministry of Foreign Affairs, said. 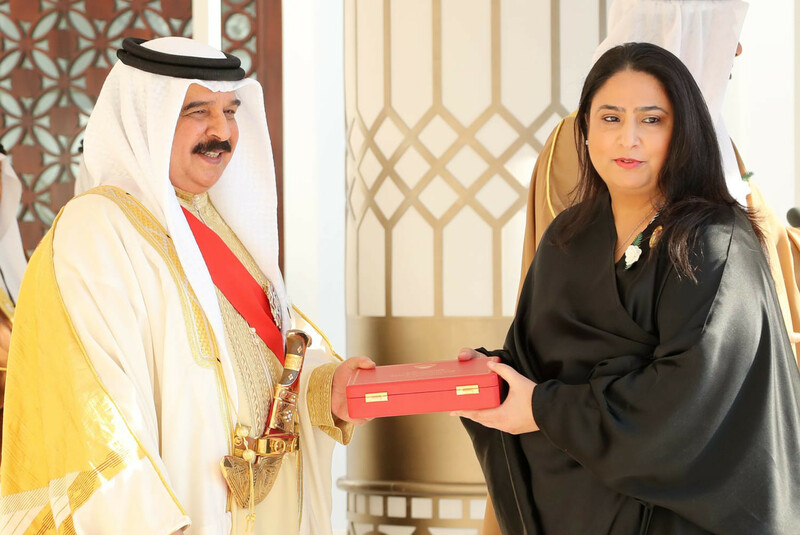 Shaikha Rana made history by becoming Bahrain’s first undersecretary of the foreign ministry in October 2017. She attributed the impressive progress in advancing women’s rights and opportunities to the directives of Princess Sabeeka Bint Ebrahim Al Khalifa, the wife of King Hamad, and chairwoman of the Supreme Council for Women, the official entity set up to elevate the status of women and empower them politically, socially and economically. The Council has been pressing all ministries and public entities to set up committees for equal opportunities to guarantee women’s rights for career advancement. “The ministry has dedicated great attention to the empowerment of women in the diplomatic and political fields based on their abilities and skills to hold advanced positions, both locally and internationally,” Shaikha Rana said. The rising profile of Bahraini women was internationally acknowledged when Shaikha Haya Bint Rashid Al Khalifa in June 2006 became the first Arab and Muslim woman and the third woman internationally to be elected president of the United Nations general Assembly. In Bahrain, the current Speaker of the Council of Representatives, the lower chamber of the bicameral parliament, is a woman, Fawzia Zainal who was elected to the post by her peers after she won her parliamentary constituency in Riffa on November 24. The total number of women in parliament now stands at 15. Women have also been appointed ministers, undersecretaries, assistant undersecretaries, judges and ambassadors in addition to a multitude of other positions. Figures indicate that they make up more than 35 per cent of the country’s employment force and more than 47 per cent of the public sector.